For all you who know me in real life I am a keen thrift/ second hand shop shopper. So much of our furniture has been bought from second hand furniture shops in Edinburgh and Glasgow. 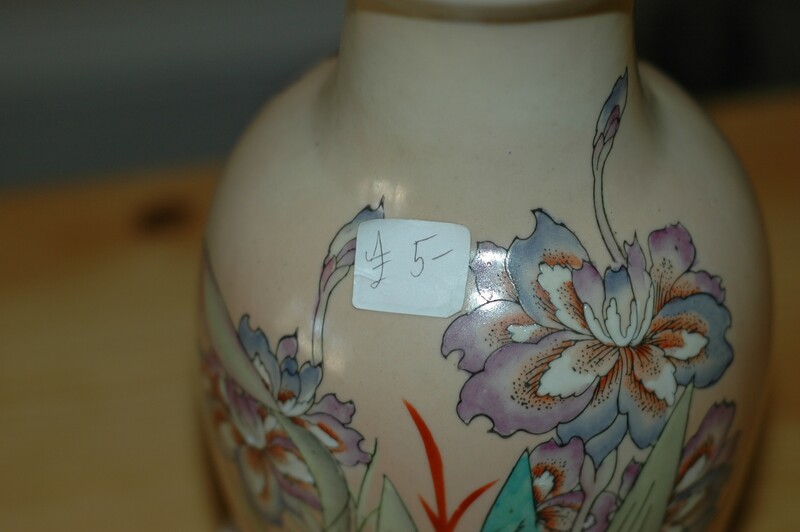 We have a fair few shops locally and I do enjoy the process of finding a beautiful item in need of a new home. There can be the temptation to buy something just because it is a bargain – but I do try to stick to William Morris’ admonishment: “have nothing in your houses that you do not know to be useful, or believe to be beautiful”. I am a fan of ikea – having bought two kitchens and various p ieces of furniture there over the years. I have found though that some of their items aren’t built to stand the test of time. 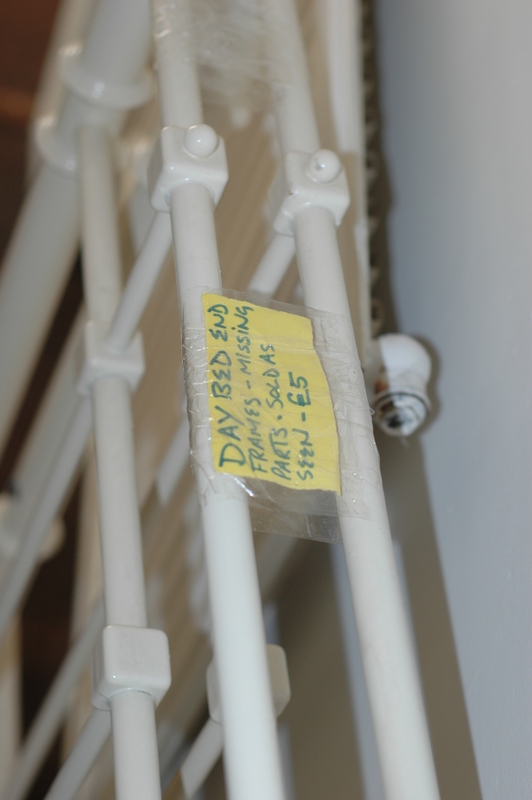 I am sure that their malm drawers aren’t built to stand the test of time – a set we had lasted about three years. We have been picking up ‘forever pieces’ slowly through the years. Today I popped out to scout around my two local Cosgrove Care charity shops. They are treasure troves, and that is where we donated our leftover charity items from Auchenard. 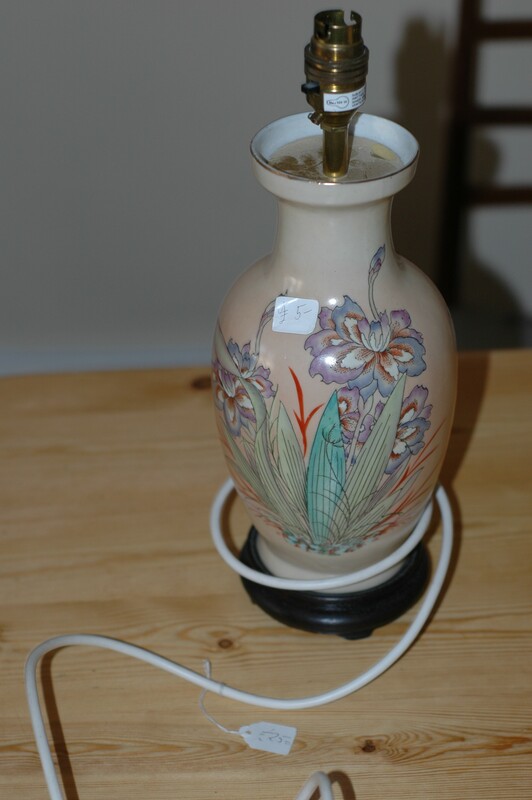 I have had success in the past with a fabulous burnt orange lamp for £9. 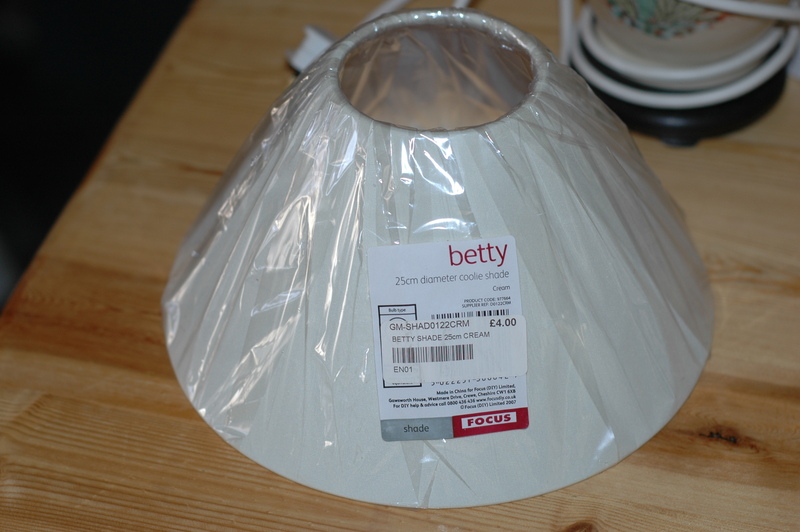 It also came with a lampshade which was brand new and priced at £4. 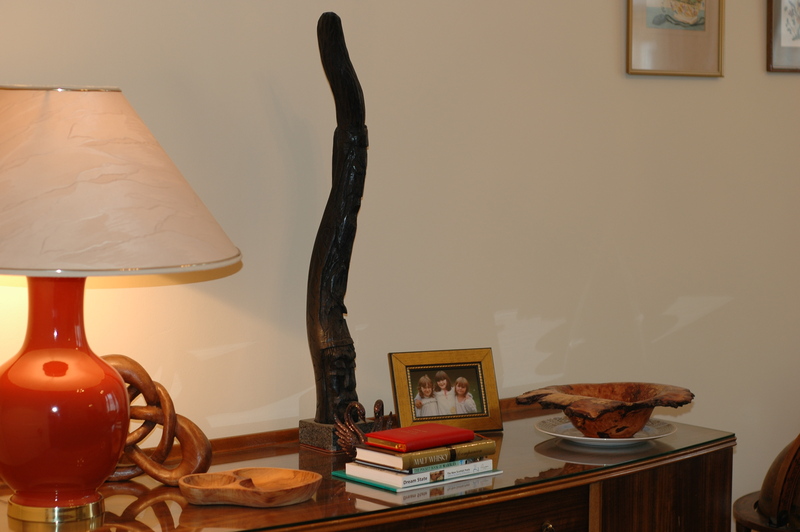 I make that £1 for the lamp – right? 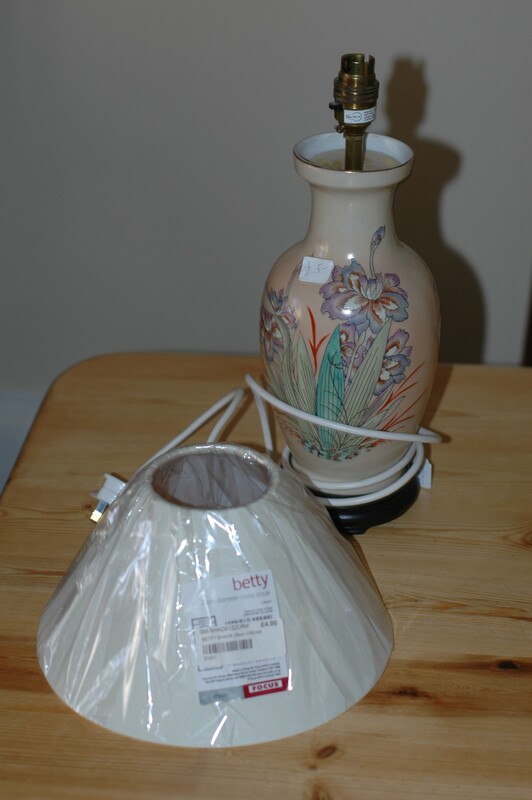 I will re-use the lampshade on another lamp – and find a more stately looking one for the new lamp base. 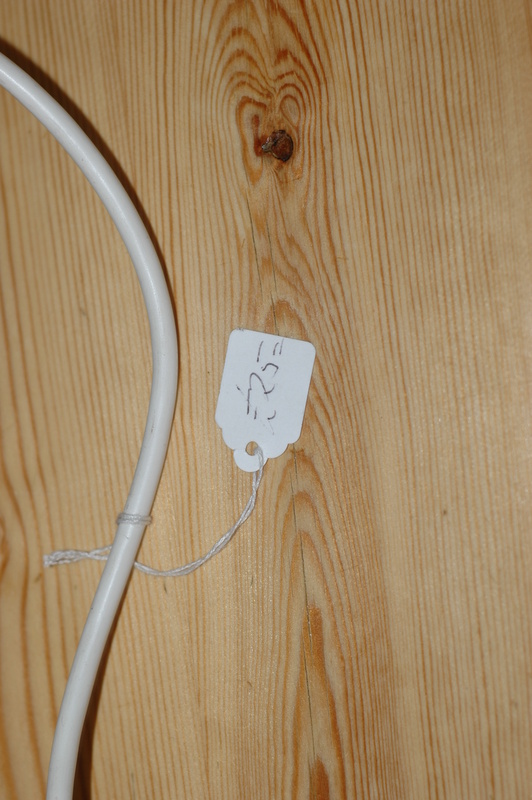 You can see that the lamp has another price tag…. Want to see it in close up? Original price at £25. It is worth £25 – and I would have ordinarily paid that price, however it was more of a want than a need. We have plenty of lamps from the aforementioned ikea although we are trying to slowly upgrade them. 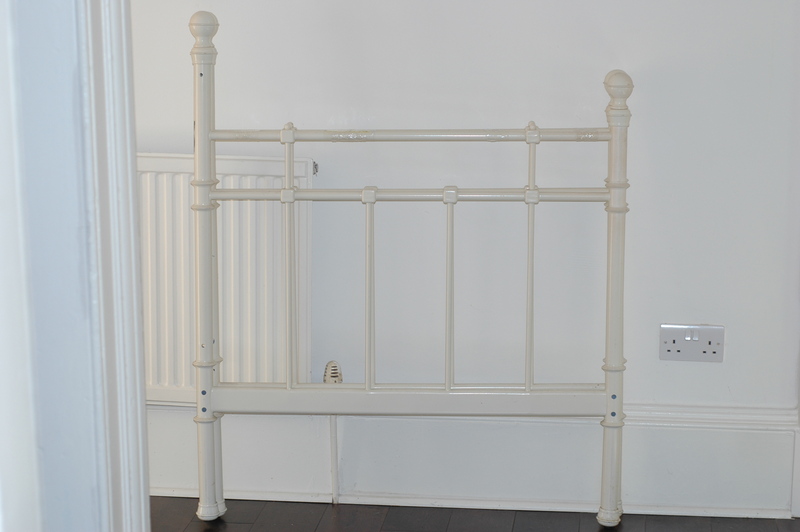 I also purchased two bed ends which had originally be used on a daybed. I am planning to paint spray these and use them together as a mega headboard for our super king size bed (California king for all you US readers). Not a bad haul for £10. Any other thrift shop success stories out there? Do you have a favorite go-to second hand store?